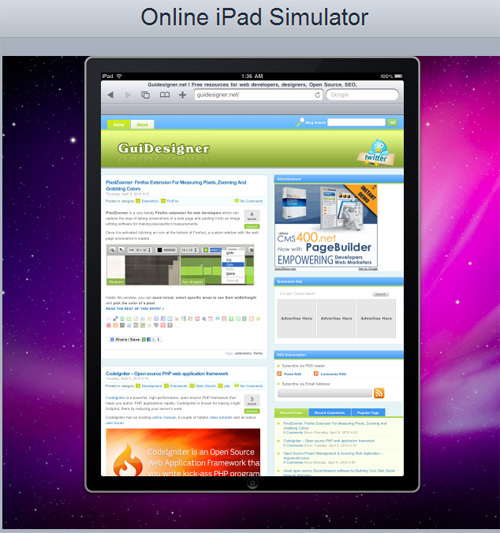 We’ve been checking how our websites look on the new Apple iPad. The live simulator here courtesy of Mutual Mobile is very slow, but it does work and is well worth a play. Have a good iPad-dle!